You are here: Home › Irene Swerdlow-Freed, Psy.D. With over 25 years of clinical experience in hospitals, residential and educational settings, and private practice, Dr. Irene Swerdlow-Freed has expertise working with individuals of all ages facing a wide range of life challenges. Her treatment is focused on understanding each patient’s unique needs and concerns, identifying individual strengths, and developing strategies for overcoming obstacles. She is sensitive, supportive and goal-oriented in offering therapy services for children, teens, adults, and seniors. 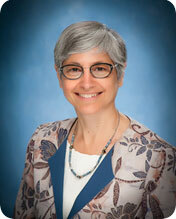 In addition to her private practice, Dr. Swerdlow-Freed is an adjunct faculty member at Oakland Community College. She is sought out by local media to discuss contemporary psychological issues, and she is available to conduct workshops for schools and community agencies.